﻿ Cheung's Tailor Latest New's Blog Check Back Weekly! 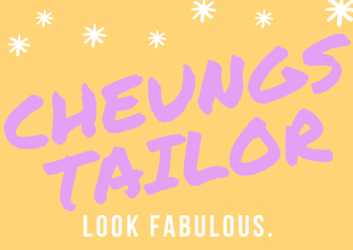 CHEUNG’S TAILOR ALTERATIONS: NEWS THAT IS TAILORED TO FIT YOU! It’s that exciting time of the year again to plan for prom! Learn from experts at Cheung’s Tailor Alterations, your local tailors nearby in the Twin-Cities the dos and not to dos in searching for your prom dress this year. So prom is about to happen this week, we’ve blogged about what the ladies and guys should do and if things are planned well here are some more pro tips from your local tailor! Does something on your winter gear just not fit or thinking about finding a creative tailor to make what you’re hoping for? At Cheung’s Tailor Alterations for 27 years we’ve seen it all. Here are some items that are common for winter garment alterations. Summer time is here! If you’re looking to head out to the great outdoors for summer time activities we’re here to help! If the garments were made, it can be remade. When clients go to a tailor nearby, they are able to check with the tailor to see if it is repairable. There are normally several options when it comes to Jacket Zipper Repairs. You’re Thinking It, Let’s Discuss Your Wedding Dress Undergarments! It would be an absolute nightmare to walk down the aisle and your dress slipped off if you accidently stepped on it. Well this is when brides should have thought about having wedding dress alterations performed, check out our blog about that. Jeans Jeans The Wonderful Denims, The More You Wear The More They Tear! Well if you like our title you’re in for a treat, this blog piece is about pricing and misconceptions on tailoring and alterations for a pair of slacks/ trousers/ pants/ suit pants/ pajama pants/ denims etc. Basically anything that covers the tush. Ever find yourself with a broken zipper due to a variety of the following situations? Unless you’re living in the Midwest and jacket is a norm from November through March everyone has encountered a zipper in their life. Just imagine everything that is made to conveniently store together your goods, keep you warm and a variety of other things! Happy Halloween! In this post we’ll be discussing zippers! Zippers are an integral part of our daily garments and accessories that we use. Understand the uses, materials/ types and lastly how to properly care for your zipper ensures the longevity of each piece. Here is a continued list of normal alteration standards for military tailoring. Please note that each unit should have the solider look and professional uniform wear. Having professional military alteration services is necessary. If the following have changed please inform your tailor during your fitting. When it comes to the United States Military we’ll discuss the variations of a Navy uniform from general requirements, officers, chief petty officer uniforms, to those enlisted. From the fitness uniform to what is authorized to wear the Army is held to the highest standards. The physical fitness uniform consists of the following components. Jacket, pants, trunks, t-shirt, undergarments, footwear and socks. At Cheung’s Tailor Alterations we provide professional United States Marine Corp Alterations. For both male and female service member uniforms, as well as civilian coats and trousers. Our 25 years of experience serving our military will ensure a quality fit and well stitched insignias. An elegant beautiful wedding dress or garment is to complement your body. The curves, the size the layers, beadings, everything. But could you imagine purchasing a wedding gown that you would drown in? Bust being too large, the waist feeling too narrow? Pant Alterations : What your tailor can do for your pants! Needing your wedding dress tailored? Looking for Wedding dress alterations near you? Well at Cheung’s Tailor Alterations we are continually helping the public out. Hopefully this blog piece can help your next search for a wedding dress and finding a professional wedding dress seamstress. Let me tell you with a little research there are plenty of amazing sites online that help with understanding your suit size. We’ve provide you a link to Brooks Brothers size chart because we believe they have a pretty cohesive chart regarding sizing for you sport coats, blazers & vests.